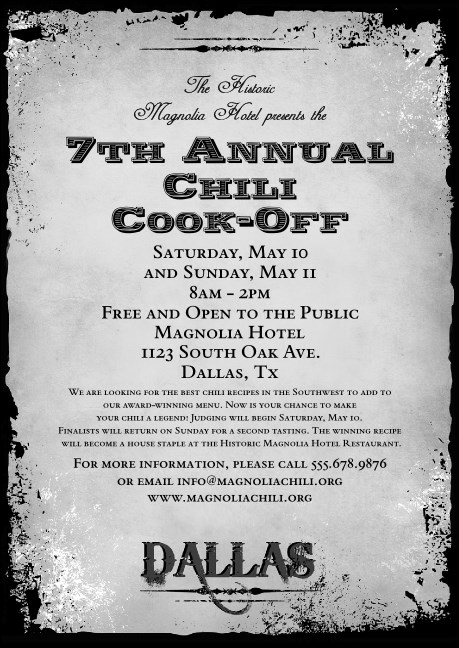 Add a personal touch to event promotion with our Dallas postcard. The look of an old fashioned flyer, including wrinkles, western style font, and burned edges, complete the rugged characteristic of this design. Black and white coloring helps accentuate the unique look of this postcard. Add personal text and images with our simple customization process. Create a complete look for your event with the Dallas Event kit - including posters, flyers, invitations, postcards, event tickets, and raffle tickets.